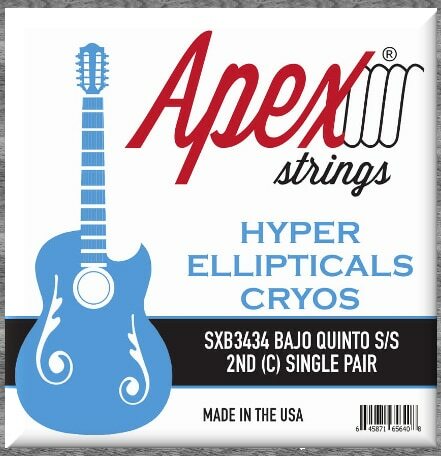 "Designed With Players in Mind"
Whether it’s our “Traditionals” being produced using specific time tested methods, or our “Hyper-Ellipticals” made using our patented process, Apex® Strings delivers strings designed to perform. Our BT1047 "Traditionals" Series Extra Light Bronze Acoustic Sets are everything players have come to expect from their strings. 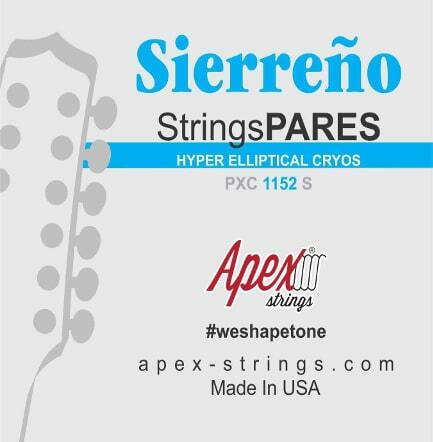 Sleek, Smooth and Expressive, players trust these strings to perform. Our BT1253 "Traditionals" Series Medium Light Bronze Acoustic SSets are everything players have come to expect from their strings. Sleek, Smooth and Expressive, players trust these strings to perform. Our BT1356 "Traditionals" Series Medium Bronze Acoustic Sets are everything players have come to expect from their strings. 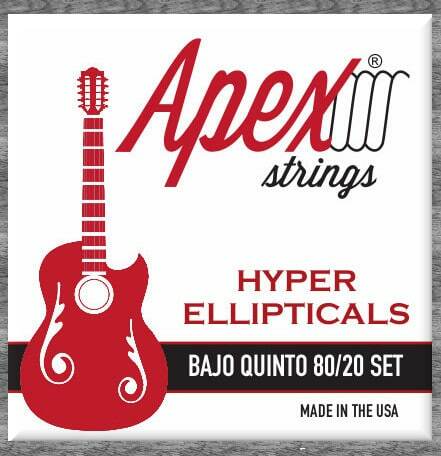 Sleek, Smooth and Expressive, players trust these strings to perform. Our BX1047 "Hyper-Ellipticals Series" Extra Light Acoustic Bronze Sets are made with our patented "Hyper-Elliptical" winding process, offering the smoothest, fastest, most easily playing strings on the market. The process improves tone, power, sustain, and intonation. 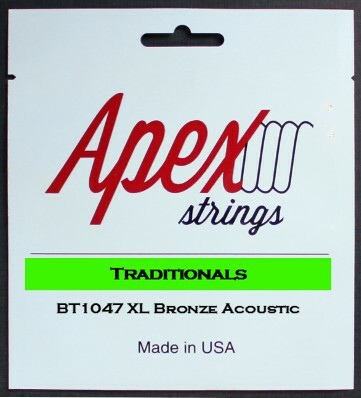 Our BX1152 "Hyper-Ellipticals"Series Light Bronze Acoustic Sets are made with our patented "Hyper-Elliptical" winding process, offering the smoothest, fastest, most easily playing strings on the market. The process improves tone, power, sustain, and intonation. Our BX1253 "Hyper-Ellipticals"Series Medium Light Bronze Acoustic Sets are made with our patented "Hyper-Elliptical" winding process, offering the smoothest, fastest, most easily playing strings on the market. The process improves tone, power, sustain, and intonation. 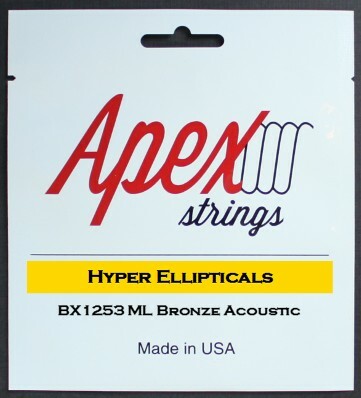 Our BX1356 "Hyper-Ellipticals" Series Medium Bronze Acoustic Sets are made with our patented "Hyper-Elliptical" winding process, offering the smoothest, fastest, most easily playing strings on the market. The process improves tone, power, sustain, and intonation. Our BXB2828 "Hyper-Elliptical" Bajo Quinto Bronze 1st Singles are made with our patented "Hyper-Elliptical" winding process. This innovation brings our smoothest, tone tailoring technique to our bajo quinto players. Our BXB2874 "Hyper-Elliptical" Bajo Quinto Bronze Acoustic Sets are made with our patented "Hyper-Elliptical" winding process. This innovation brings our smoothest, tone tailoring technique to our bajo quinto players. Development for the BXB2874 brings the best refinement in string making to our Bajo players. 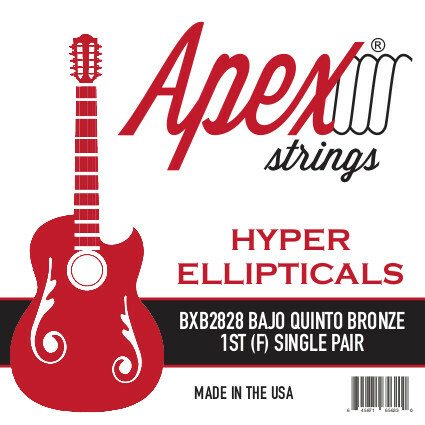 Our BXB2892 "Hyper-Elliptical" Bajo Quinto Bronze Sets are made with our patented "Hyper-Elliptical" winding process. 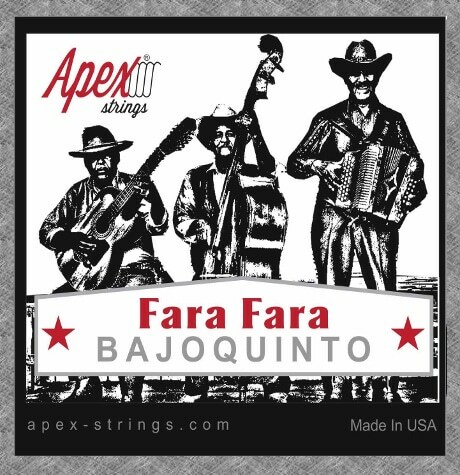 This innovation brings our smoothest, tone tailoring technique to our bajo quinto players. Development for the BXB2892 offers the best refinement in string making to our Bajo players. Our BXB3050 "Hyper-Elliptical" Bajo Quinto Bronze 4th Singles are made with our patented "Hyper-Elliptical" winding process. This innovation brings our smoothest, tone tailoring technique to our Bajo Quinto players.